If you can swim, but are not happy with your stroke , if you tire easily, or can’t swim as far as you would like, this workshop will turn you into a smooth, efficeint freestlyer. You will learn balance, streamlined positions, effortless core-based propulsion and effective stroking movements. This class is the first choice for triathletes and those wishing to “tri” for the first time, as well as thousands of fitness and competitive swimmers. The clinic is a total of six hours of one-on-one instruction that can be broken up into multiple lessons, or done as a one day clinic. This clinic is designed with the beginner swimmer in mind. If you have the desire to swim or want to overcome apprehension in the water ,this is the clinic for you. Using the TI method along with other drills and relaxation methods, you can learn to have control in the water and fully experience the joy of swimming. 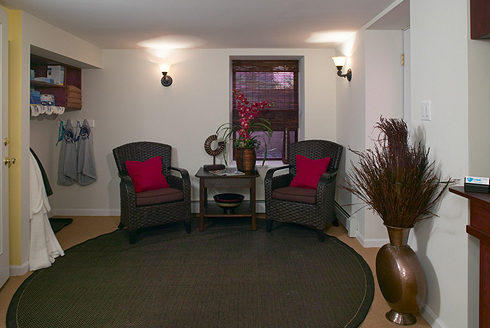 This clinic is done over several weeks, totaling ten hours of one-on-one instruction at the studio. This is the “finishing school” for those who have taken the TI freestle workshop (either freestyle made easy or freesttyle made easier). 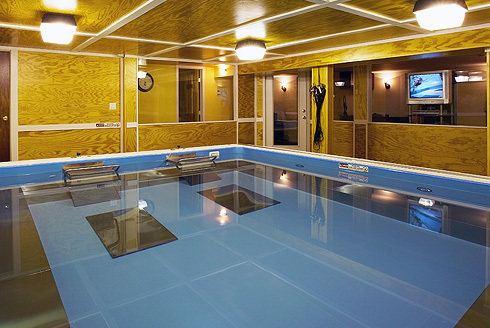 The adjustable current in Bay Shore Swim’s endless pool is the perfect environment to practice speed and efficiency. This clinic is 4 hours of one-on-one instruction. Learn to swim backstroke, breaststroke and butterfly with the skill and grace of an elite swimmer. Become a “complete” swimmer by developing a solid foundation of efficiency and economy . The emphasis in these clinics is on correct form, then speed. This workshop is best for competitive swimmers and those who have completed a TI freestyle workshop. Custom packages can be designed to meet your specific swim needs and goals. Contact the studio for pricing. Custom tailored packages are available for groups or any swimmer who desires additional instruction. Contact the studio to discuss options and pricing on custom packages. For all student who have completed a workshop, one-on-one lessons billed at $115 per hour. For new student, one-on-one lessons billed at $150 per hour. All lessons are by appointment only. Lessons are conducted 7 days a week ,from 6am-9pm. Occasionally we have all had to cancel or reschedule an appointment. in such an event, please be sure to notify the studio at least 24 hours in advance. For all cancellations of less than 24hr notice, the class will be forfeited. We allow one make up class for private lessons that were cancelled within 24 hours notice. Coached indoor cycling classes starting Sunday November 27th! Group classes coming soon! Cycle, run and strength classes built for triathletes! Additional Spin Classes Added! Triathlete Specific Strength Classes Starting in January Coached indoor cycling classes starting Sunday November 27th! Group classes coming soon! Cycle, run and strength classes built for triathletes!